I have to admit I have been enjoying the final arrival of Summer so much I have been lax in keeping up the blog. The end of the school year is rapidly approaching and, sadly, we shall be losing Mike after some two and a half years with us. He feels the time is now right to move on to something different, and we will be wishing him every success furthering his acting career. I have no doubt that his natural talent will carry him far. Next month will be devoted to rehearsing two new actors, and I will tell you more about this next time I write. 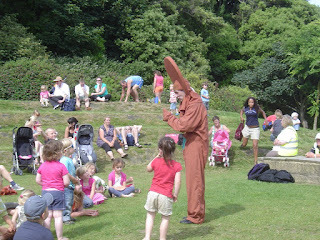 Yesterday was great fun as we performed "The Gingerbread Man" to a packed audience at the Amphitheatre on the promenade in Folkestone. We had envisaged all manor of disasters that might befall us, including being swept out to sea. But the day was perfectly still with bright sunshine. In fact, the only real danger was sunstroke! 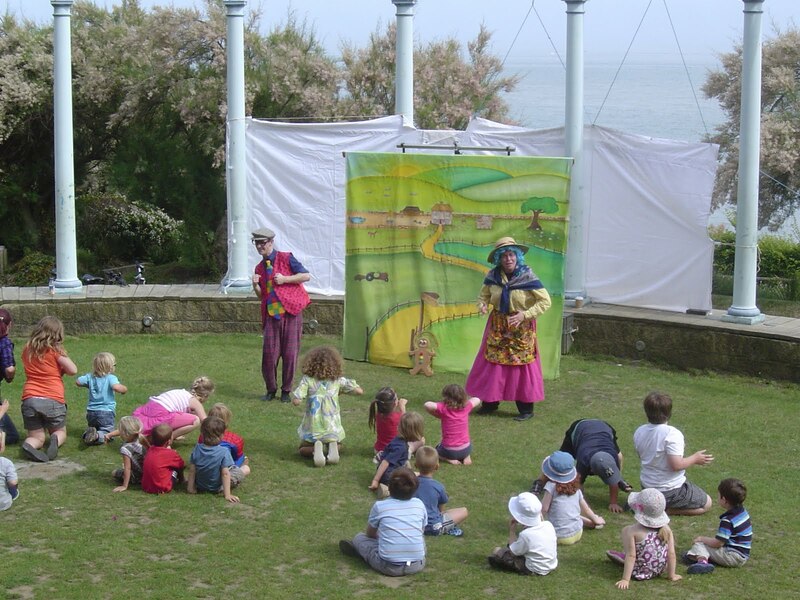 Since I last wrote, as well as schools, we have been busy at a number of theatres, including Lauderdale House, The Riverhead in Louth and The Landmark in Teddington: all to big audiences. Next weekend we will be back at The Hub in Verwood. Now I must busy myself checking rehearsal schedules.